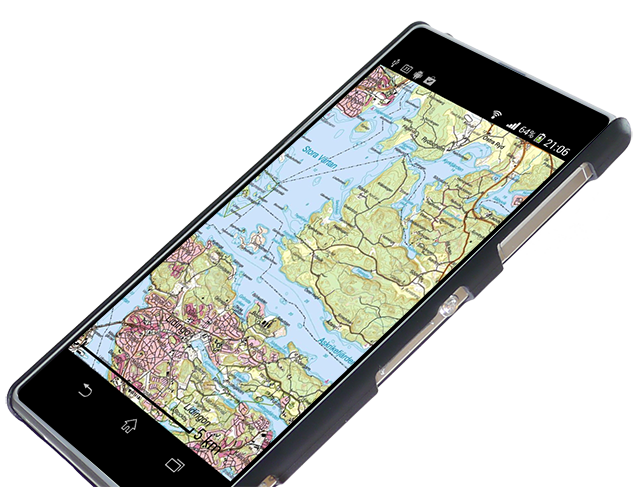 High resolution topographical maps in your Android phone or tablet made easy! 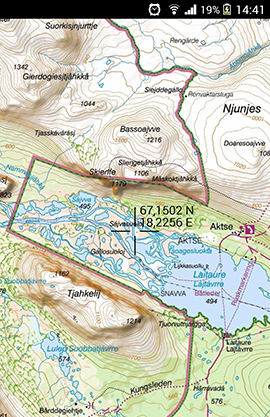 MapApp Topo is a mapping and navigational service with focus on performance and simplicity. It is the perfect choice if you are interested in outdoor activities such as hiking, mountainbiking, hunting, geocaching, just to mention a few. No hassle with menus and settings. The features you really need presented in an easy way. Smooth panning and zooming and no flickering. Only ~2 EUR for 625 sq. 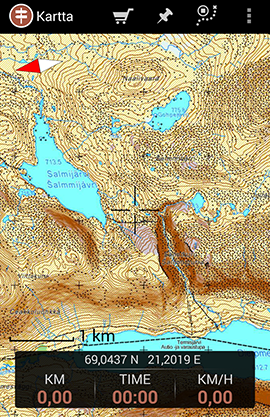 km of detailed topographic map data makes MapApp Topo very affordable compared to printed maps and other similar apps. "Great and simple. Perfect tool outdoors!" "Very good! Impressively nice and sleek!" "Simple and useful. Works as it should." MapApp Topo on your wrist! MapApp Topo can be downloaded for free on Google Play. For each country that is included in MapApp Topo there is a free overview map in scale 1:1000 000. 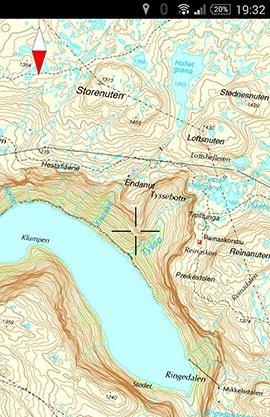 Within the overview map, high resolution topographical map tiles in scale 1:50 000 (1:25 000 for Denmark) can be purchased. 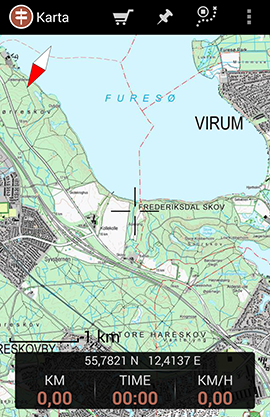 MapApp Topo has features for showing current location och compass bearing but can also record points of interest and paths as well as exporting them. Features are also often added based on user requests. All maps are sold as 25 x 25 km square tiles. The price of a tile is ~2 EUR (depending on currency changes). For tiles with missing information a lower price is charged, reflecting the amount of information missing. Contact us? Send a mail to wingusoft@gmail.com.